Dwarka, one of the best-studied underwater sites in India, has commanded much attraction, also because the site is considered as one of the four Dhamas (sacred place for pilgrimage) of the Hindu religion. According to ancient Sanskrit literature, the Lord Krishna founded the holy city of Dwarka, which subsequently got submerged under sea. 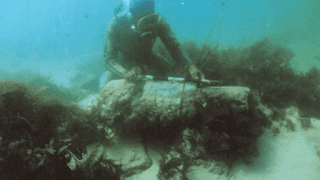 Marine archaeological explorations off Dwarka have brought to light a large number of stone structures, which are semicircular, rectangular and square in shape in water depth ranging from inter tidal zone to 36 metres (120 feet). They are randomly scattered over a vast area. Besides these structures, a large number of varieties of stone anchors have been noticed along the structures as well as beyond 36 m water depth. These findings suggest that Dwarka was one of the most busy port centers during the past on the west coast of India. The comparative study of surrounding sites indicates that the date of the structures of Dwarka may be between Historical period and late medieval period. Mainstream scientists maintain that ancient Indian culture/civilization goes back some 4-5 thousand years. Yet the ruins below the Gulf of Cambay go back at least 9 thousand years, i.e. to the time when the area submerged under water. This means that the city must have existed before the flooding, i.e. at least 9 thousand years ago. 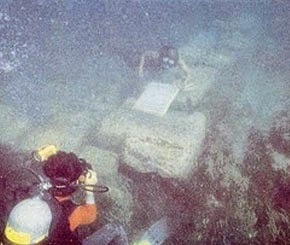 The explorations conducted in the Gulf of Cambay waters revealed sandstone walls, a grid of streets and some evidence of a sea port 70 feet under water. The ruins have been proclaimed the remains of the legendary lost city of Dwarka which, according to ancient Hindu texts, was the dwelling place of the deity known as Krishna. The story of Krishna as told in the sacred scripture Srimad Bhagavatam, describes the scenario that led to the construction of Dwarka. Once, when Krishna was ruling the city of Mathura, the kingdom was repeatedly attacked by Jarasandha, the tyrant King of Magadha (the present day Bihar, India), around 17 times. The Monarch lost to Krishna in all 17 battles, and he attacked Mathura the 18th time. 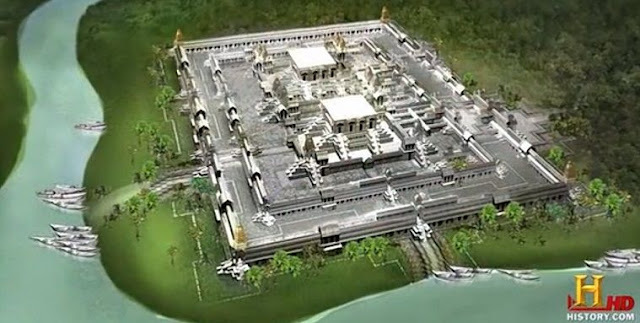 At this stage, Krishna decided to build a separate city on an island in the Western coast of India, to save his citizens, his Yadava clan from the trouble of repeated wars. The city was built by the divine architect, Vishwakarma himself. The city soon grew in fame and became the invincible pivot of Lord Krishna’s mission, housing thousands, in around 900 palaces. The city was well fortified and could be reached only by ship. Dwarka soon became a talking point everywhere, and commanded awe and wonder all over the world. According to ancient Hindu texts Dwarka was attacked with a flying machine Vimana. It is the description of the battle that draws the attention of the ancient aliens theorists, as it seems to suggest it was fought with sophisticated technology and advanced weapons, potentially even with a craft attacking from the orbit. The space craft commenced an attack on the city with the use of energy weapons, which to the on-lookers resembled a discharge of a lightning, and it was so devastating that after the attack most of the city lay in ruins. 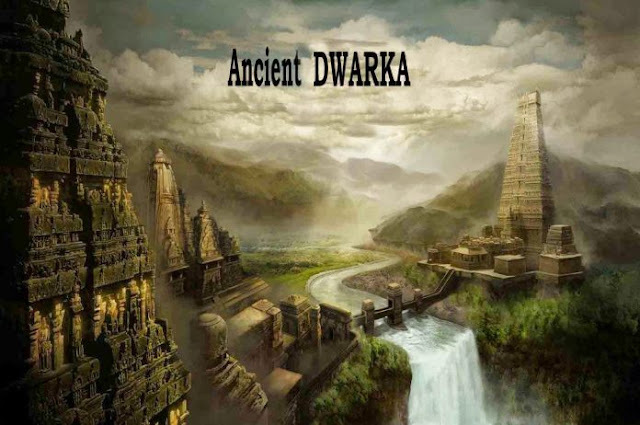 Until recently the very existence of the city of Dwarka was a matter of legends. Now, that the remains have been discovered under water, and with many clues seeming to suggest that this, indeed, is the legendary Dwarka, dwelling place of lord Krishna, could it be that lord Krishna and his aerial battle with king Salva were more than just a legend?
" The vast city — which is five miles long and two miles wide — is believed to predate the oldest known remains in the subcontinent by more than 5,000 years. The site was discovered by chance last year by oceanographers from India’s National Institute of Ocean Technology, who were conducting a survey of pollution. 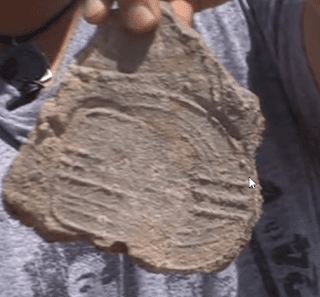 Debris recovered from the site — including construction material, pottery, sections of walls, beads, sculpture, and human bones and teeth — has been carbon dated and found to be nearly 9,500 years old (BBC article)." Even if we don’t know what the cultural background of the people is, if it does happen to be a city that is 9500 years old, that is older than the Sumerian civilization by several thousand years. It is older than the Egyptian, older than the Chinese. So it would radically affect our whole picture of the development of urban civilization on this planet.